“It took some time to understand my water lilies. I painted them for pleasure; I cultivated them without thinking of painting them … A landscape does not permeate you in one day… And then, all of a sudden, I had a revelation, of faeries in my pond. I took my palette … since then I have had no other model.” Claude Monet. 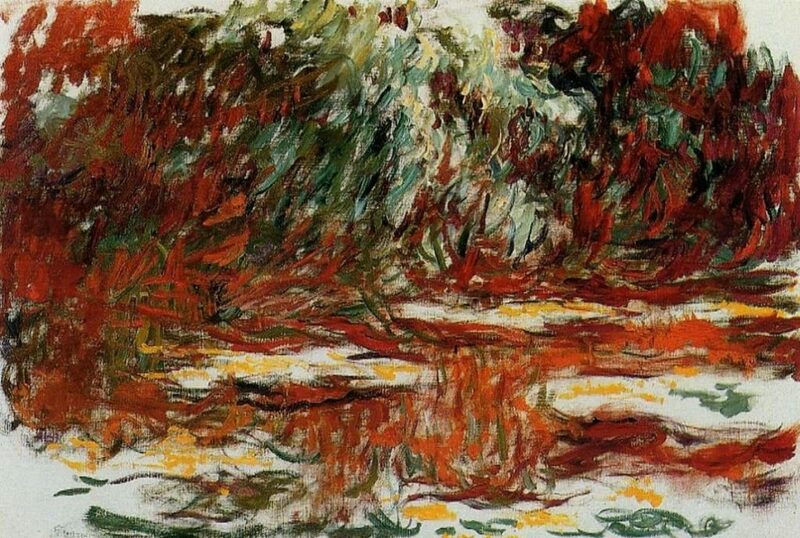 This Pond by Monet may very will be an unfinished painting. He generally liked to cover the canvas with paint. But here we get an inkling about the future of abstract painting and its relationship to landscape. What’s interesting is that the “unfinished” canvas opens the composition, unmoors it. This allows the painting process to float while implying that meaning won’t be found in the image. Monet is defining a different kind of painterly ambiguity. He challenges our certainty and our relationship to the painting. Impressionism had begun with the idea that process might define a picture, but this later work dispenses with the idea of a picture altogether. We must think our way through Monet’s visual construct and its material processes in order that we might understand the thing-in-itself. What’s left after the image breaks into pieces is Monet’s conceptual process. 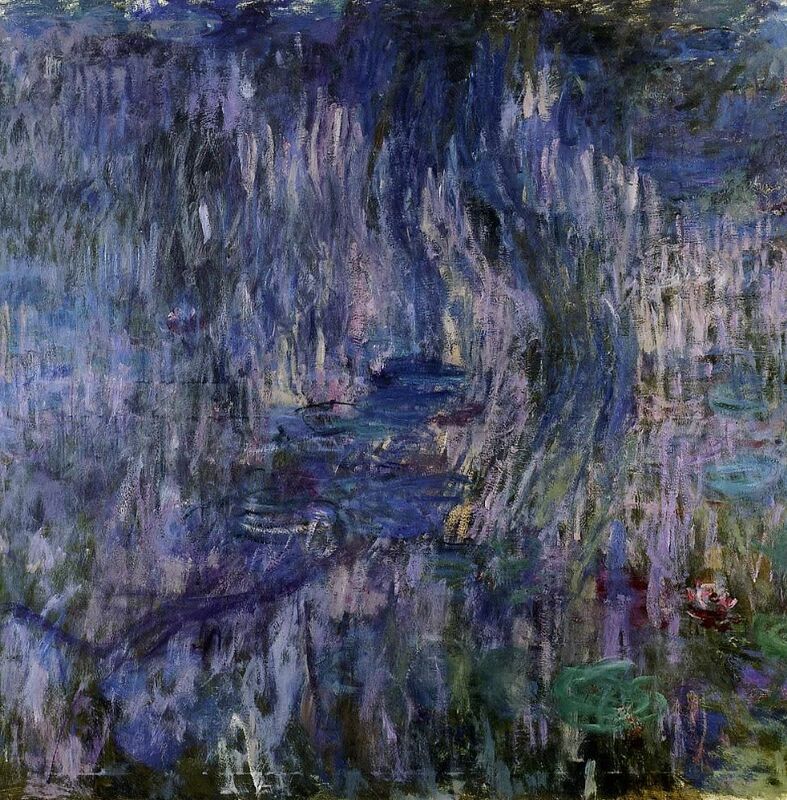 Monet’s late work allows the process to dominate. The chalky paint strokes suggest not only the surface of the “water,” but the surface of the image, the surface of the support. The ground is both subject and object of the painting. Space, color, light, and air exist on the same plane causing the picture to collapse. Monet dispenses with illusion and narrative. And in their absence we must turn inward. Late Monet paintings are not easy – they define what’s been unresolved, what’s unreal or unfocused. We know that he’s built this paradise in his back yard, but he paints it as if it’s falling to pieces. Why? The water thickens. The air sinks. And the paint strokes stick and clot. This is a hard vision from an old man. And he leaves us to wonder – how do we understand and accept what we are seeing?